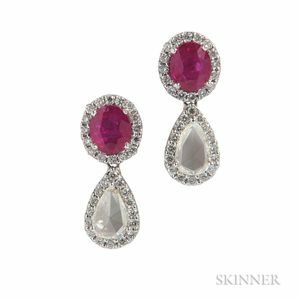 Ruby and Diamond Earrings, each set with an oval-cut ruby and pear-shape rose-cut diamond, framed by diamond melee, white gold mounts, lg. 7/8 in. gold acid tests around 18kt.